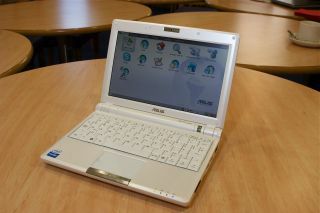 Asus has moved quickly to combat a potential PR disaster that might have spiralled out of control, centred around news that the company had shipped Eee PC 900s with smaller batteries than the ones supplied to reviewers. Asus has agreed to replace any Eee PC 900 batteries smaller than advertised/reviewed with new ones. So those unfortunate Asus customers running on a four cell 4400mAh battery will soon be bumped up to a four cell 5800mAh battery. See TechRadar’s latest, fully-detailed Eee PC 900 review right here.